Bouncing Back is an outreach program offered under the auspices of St. James' Episcopal Church in Downingtown, Pennsylvania. Our goal is to foster resiliency among children of divorced parents all across America. We began giving away books in 2011 as a living memorial to everything good that came out of a marriage that lasted from 1945 to 1973. We have researched the best books written in English for children in preschool, elementary school, middle school, and high school. Since inception, we have mailed more than 2,800 books to help kids in 49 states. The only state where we have not (yet) helped kids is Rhode Island. Thanks to the generosity of our growing number of donors, we can now offer you the books described below. They will be delivered to your door at no charge in approximately two to three weeks. PLEASE NOTE: Due to the high cost of international postage, as of January 1, 2019 we must restrict orders to addresses within the United States. This is one of my all-time favorite books about divorce for preschool and early elementary school children. 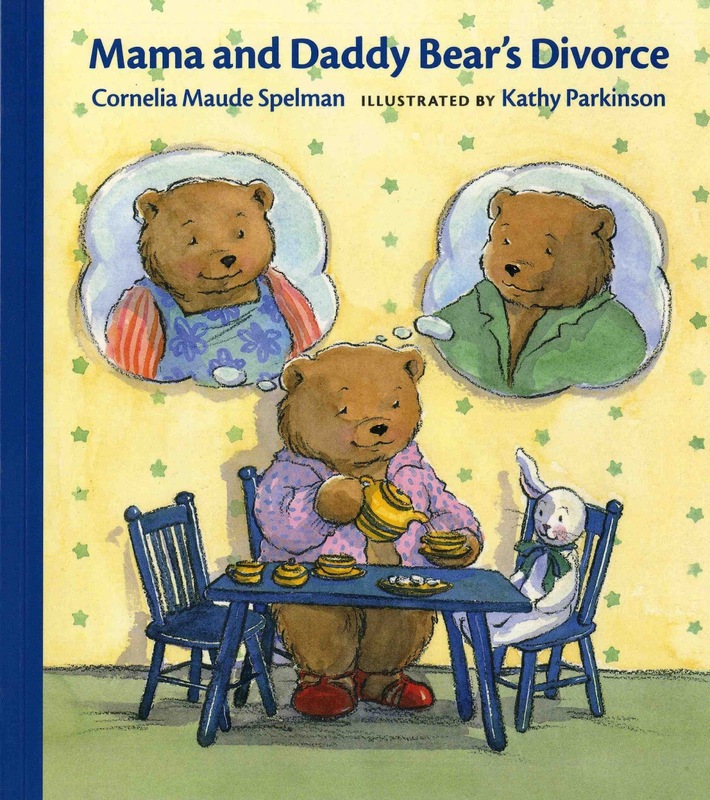 Mama and Daddy Bear’s Divorce focuses on what is most important to the young child. The young child needs to have his or her feelings acknowledged and validated, needs to know what is changing and what is staying the same, and must be reassured over and over again about who loves them. This book hits the nail on the head in all these areas. Written from the perspective of the youngest bear in the family, Dinah shares what she likes, her sad feelings, and her adjustment to Mama and Daddy’s divorce. The illustrations are perfect for a young child, with the members of Dinah's bear family having a distinctive resemblance to cuddly teddy bears. I have read this book to multiple children and every child I have read it to likes it and finds it relatable in some way. Mama and Daddy Bear’s Divorce always creates conversation and often allows the child to express feelings and ask questions. Many children have asked to take this book home after we read it together. It gives me so much pleasure to grant that request. This is another of my all-time favorite books about divorce. 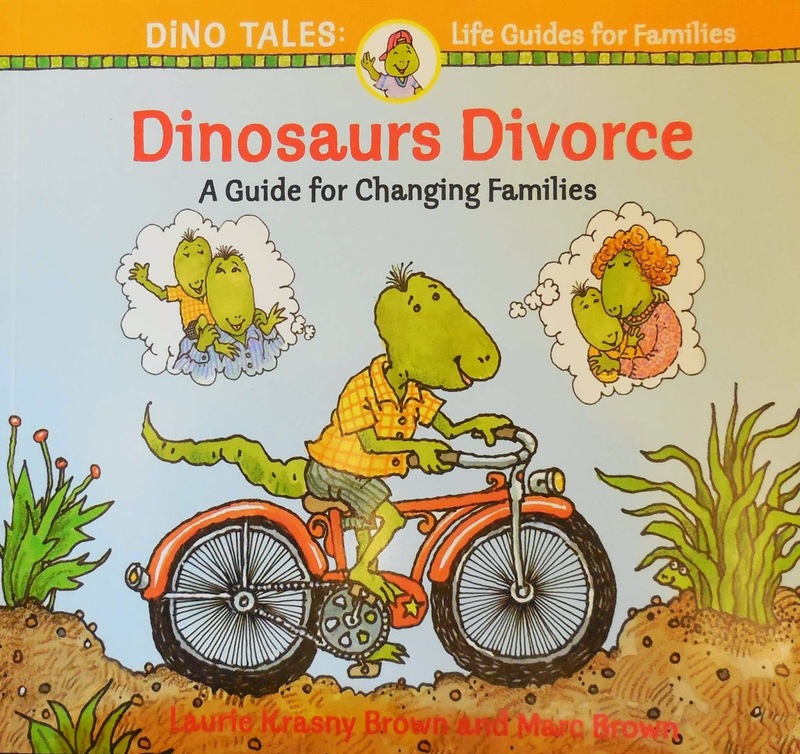 Written for the elementary school age child, it provides needed and helpful information about divorce in practical, easy-to-understand language. The illustrations are funny and cute. The dinosaur characters give the child reading the book the emotional distance that allows him or her to better integrate the information. This book covers all the bases, from the time of separation to the time of remarriage. It includes a discussion of topics that matter most to kids: why parents divorce, how to handle moving, adjusting to living in separate residences, expressing feelings, continuing to love both parents, becoming accustomed to dating, step-parents, step-siblings, and half siblings. The authors write simply and offer just enough information – not too little and not too much. The children I counsel who have read this book like it and find it very helpful. It often answers their questions, clears up their misunderstandings, and encourages them to ask more questions. 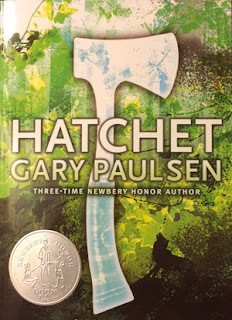 A third grader can read this book alone. A child younger than third grade can read this book with some adult help. 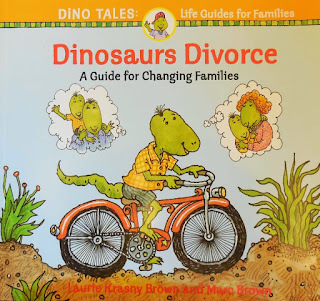 A glossary of terms near the beginning helps children learn the new vocabulary of divorce. This best-selling classic survival story has sold more than 4.5 million copies. We added this award-winning novel to our program because Brian, the hero of the story, happens to be a 13-year-old child of divorced parents. Brian is on his way to visit his father when the single-engine plane in which he is flying crashes. Suddenly, Brian finds himself alone in the Canadian wilderness with nothing but the clothes on his back and the hatchet his mother gave him as a gift. The way the story ends is a tribute to the young man's courage, resourcefulness, and resilience -- all wonderful qualities that we like to encourage in children of divorced parents. 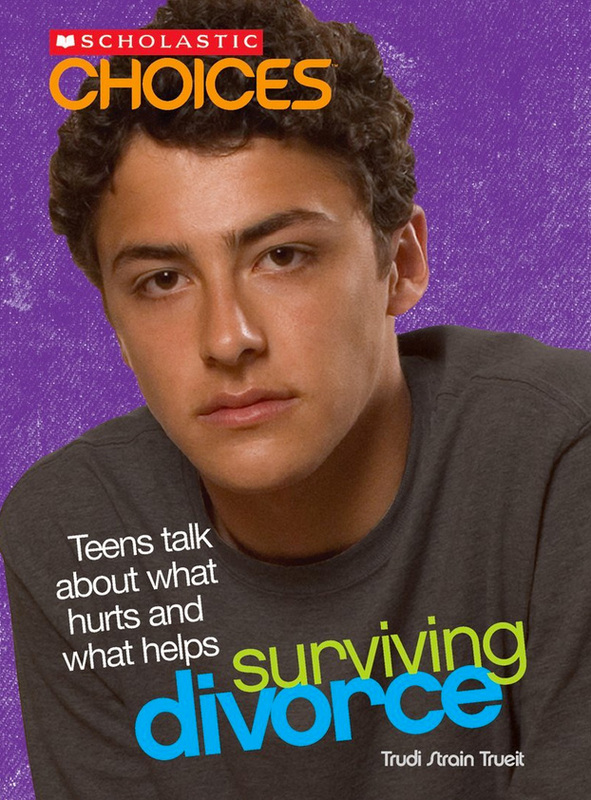 Suitable for children ages 10 to 14, the paperback version we offer comes with an age-appropriate discussion guide. This slim paperback has a little bit of everything to encourage and help teens navigate through the wilderness of their parents’ divorce. The author, an award-winning health and medical journalist, has assembled some great US statistics to share for teens who wonder how many other kids struggle with the same problem. Trudy S. Trueit has also collected some readable stories and vignettes from teens themselves, which she weaves among tips for coping with the logistical difficulties of moving, going back and forth between households, and having a place to call home. Her insightful discussion of the grieving process includes some helpful tips for coping with the emotional rollercoaster and pain of divorcing parents. All this is packaged in a way that makes it easy for teens to pick up and read a story or a couple of pages that may offer help with what they need in the moment without having to read the book cover to cover. Published by Franklin Watts, a division of Scholastic Inc., this book is suitable for adolescents between the ages of 14 and 19.